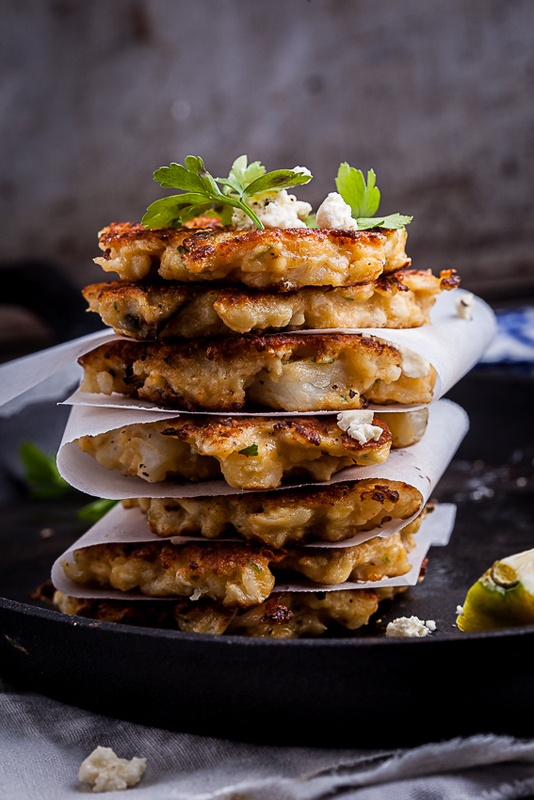 These cauliflower and feta cheese fritters are perfect for a light lunch or as a snack. 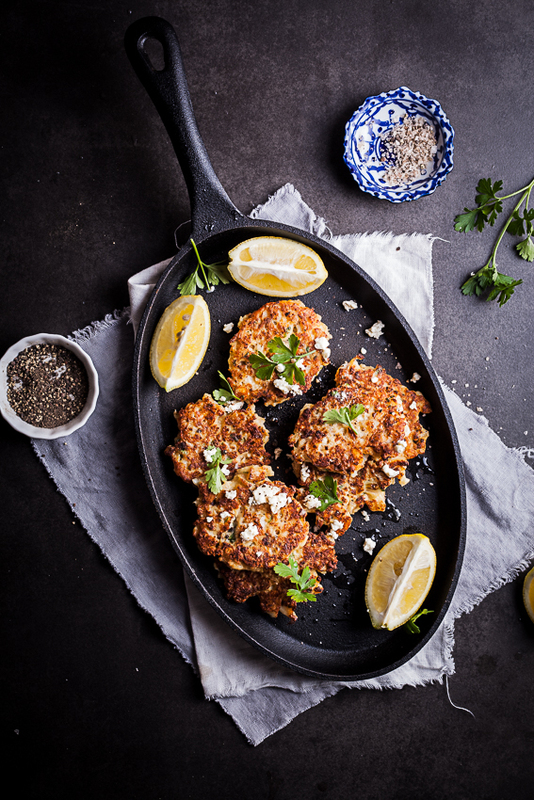 Roasted cauliflower is perfectly matched with salty feta cheese in these easy, vegetarian fritters. You guys, I have stumbled upon something pretty freaking awesome here. It turns out that cauliflower is indeed the most versatile ingredient in the world and should there ever be a zombie apocalypse, I hope to find myself on a cauliflower farm because seriously, there is nothing you can’t do with a cauliflower. 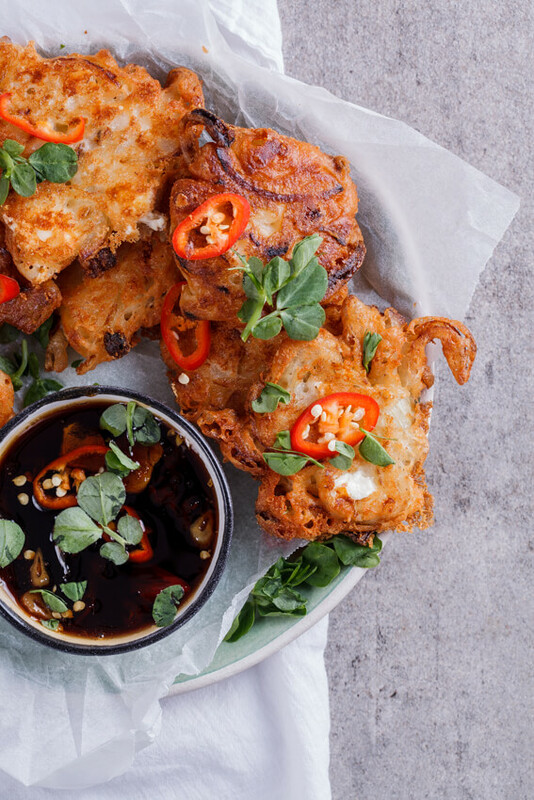 My most recent discovery are these awesome cauliflower and feta cheese fritters. I have been expanding my love affair with this humble vegetable lately and have used it chopped up as rice, roasted and drenched in bechamel sauce, blended until smooth in soup, mashed it with butter, fried until golden and crispy and stirred into creamy risotto. I didn’t really think I could do anything else with it and this idea hit me. 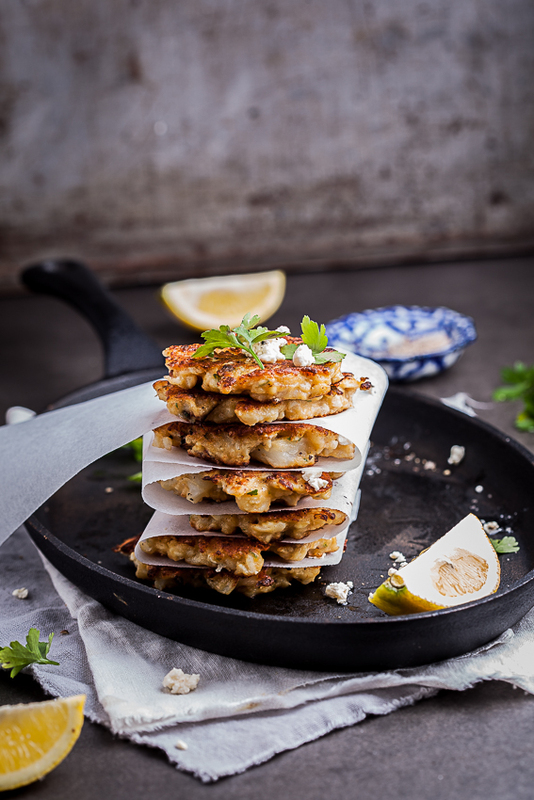 Why not turn my favourite vegetable into a delicious fritter? Why not add a bit of garlic, parsley and oooh Feta cheese? 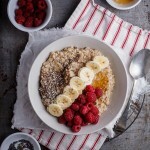 Why not serve it drizzled with fresh lemon juice? Can you tell I got excited? So this is what I did: I broke down two heads of cauliflower into tiny florets then roasted them at high heat for around 15-20 minutes until their edges were starting to char and they were just cooked. I then mashed them down until they were roughly the size of corn kernels and then mixed them into a simple batter of flour, eggs and flavourings. Simpler you won’t get! I fried off spoonfuls of the batter in a splash of oil until golden and cooked through on both sides, et voila. And I’ll admit, many of these didn’t even make it to the serving platter. They are absolutely addictive and are so versatile. I could imagine them being just awesome topped with crispy bacon and a soft poached egg, make them a bit smaller and serve them as a canape topped with a dollop of sour cream and a little smoked salmon or bacon or just have them as is with a generous drizzle of lemon juice. However you have them, make sure you make them soon because once you do, you’ll want to make them all the time. And in fact, guess what we’re having for dinner tonight? Oh yes, indeedy. 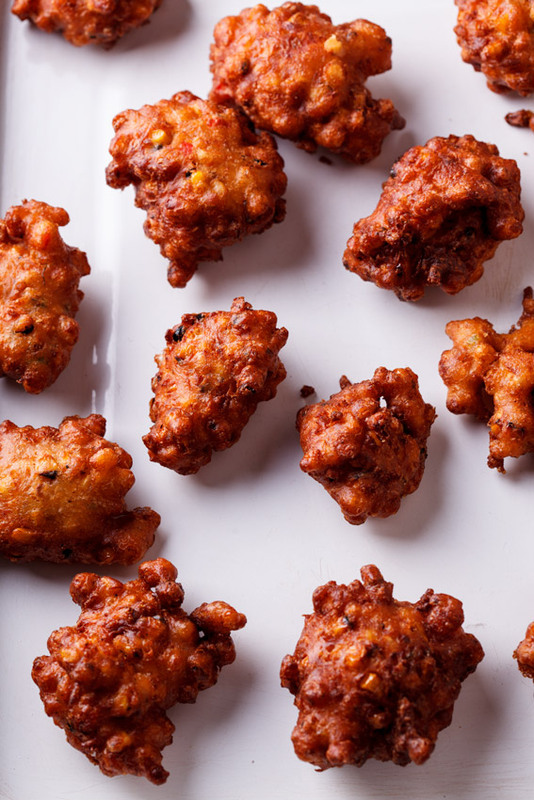 Even more cauliflower-feta-frittery goodness. Place the cauliflower on a large baking tray then drizzle with the olive oil and season with salt and pepper. Place in the oven and allow to roast for 15-20 minutes until the cauliflower is just cooked and have started to char around the edges. Remove the cauliflower from the oven then mash with a potato masher until the florets are roughly the size of corn kernels. Allow to cool slightly. In a large mixing bowl, whisk together the eggs, flour and milk then fold in the feta cheese, garlic, parsley and cauliflower. Season to taste. Heat a large frying pan over medium heat. Add a splash of oil and fry spoonfuls of the batter until golden brown and cooked through on both sides. Made these and they were amazing, a few days later noticed we had an excess of broccoli so experimented switching out cauliflower for broccoli and cheddar for feta and they were also amazing! Great versatile recipe ? Love the idea of using broccoli and cheddar Claudia! Fantastic recipe. Perfect easy appetizer. 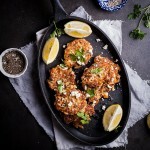 These look incredible, love cauliflower, great idea to combine it with feta cheese, I’m sure they must be delicious. Can’t wait to try them! Made this for dinner for myself tonight and had it with a poached egg. It was delicious! I will definitely make it again. The melty cheese was great, and I love cauliflower. Thanks for a great recipe! So pleased you liked these Vivian. That poached egg on top sounds like magic! I like your recipes. They are tasty, simple and healthy. 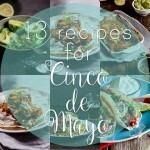 These do look so yummy and I definitely need to make them. Quick question though, did you use feta in brine or just plain feta? I live in the UK now where it is hard to buy feta in brine. You must definitely make them Tessa. Yes, I used feta discs that come in brine but you could definitely use plain feta in this. oh my gosh this sounds delicious! Thanks for your lovely comment Megan! 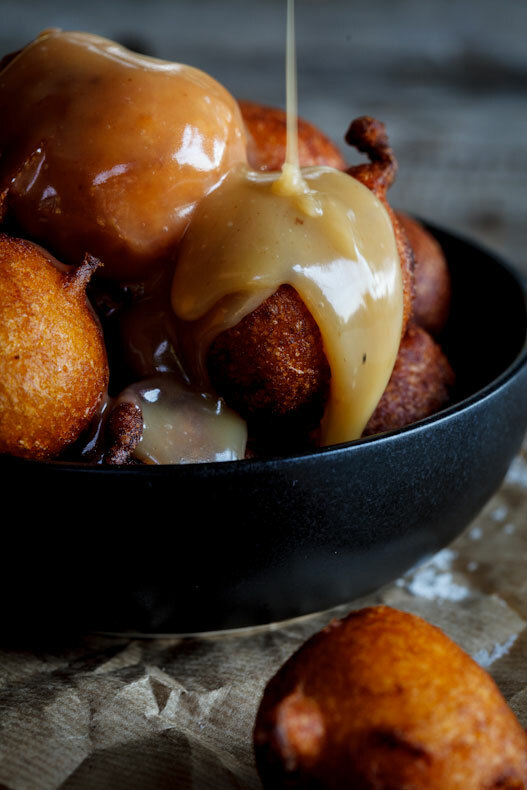 The fritters look amazing — they make me hungry and I just ate!! Cauliflower is wonderful, I am waiting for someone to make a dessert out of it. I will definitely try it. Thank you for sharing!! These sound great. I might try them with a bit of tzaziki sauce on top! Oh, that will be awesome! Oh man, feta?! This sounds incredible! Definitely need to try! Doesn’t Feta just make everything better?